It’s that time of the year again…time for roasted pumpkin seeds! And really who doesn’t love pumpkin seeds? 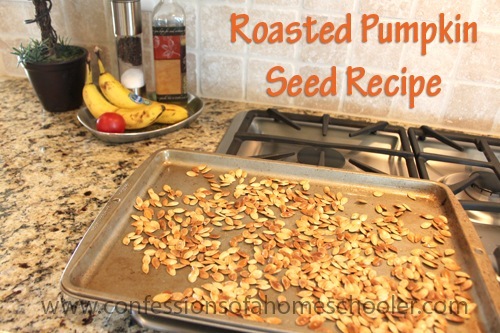 Here’s a great roasted pumpkin seed that’s so easy your kiddos can do it themselves! 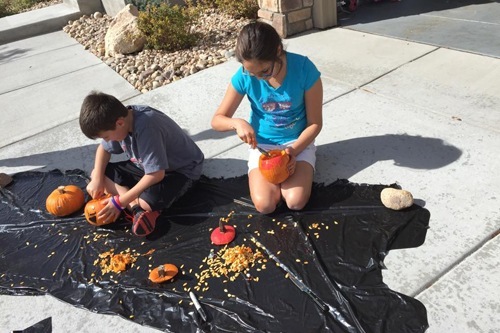 Step 1: Head to the pumpkin patch and pick out some sweet pumpkins! 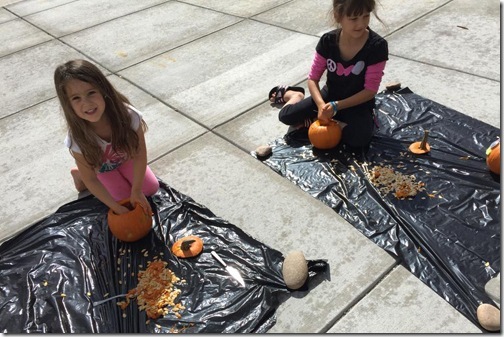 Next seed your pumpkin. 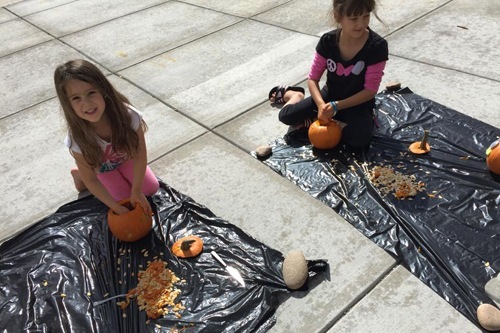 I usually cut off the top of the pumpkin, then we use a spoon to scoop out all of the gooey insides. Step 2: Find a willing participant to pick out all of the seeds from the orange stringy pulp. Then finish cleaning them off by rinsing them in a colander under cold water. 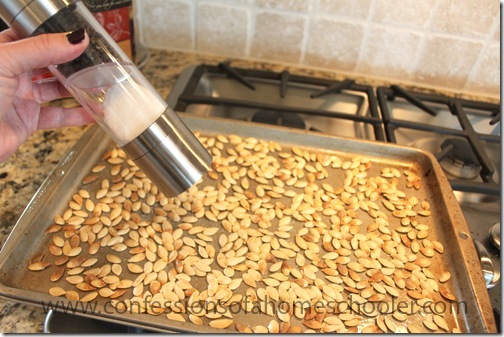 Shake them dry just to remove the excess water. Step 3: Preheat your oven to 300 °F. Spread seeds in a single layer on an oiled baking sheet and roast them for 30 minutes to finish drying the seeds out. 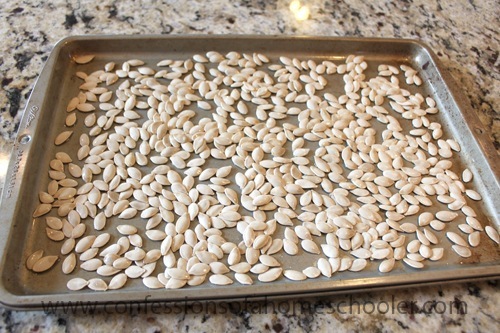 Step 4: Toss seeds lightly in olive oil and salt, then bake them for another 20 minutes or until they’re golden and crispy. Sweet Seeds: Toss with cinnamon and sugar (skip the salt in step 4). Indian Seeds: Toss with garam masala. 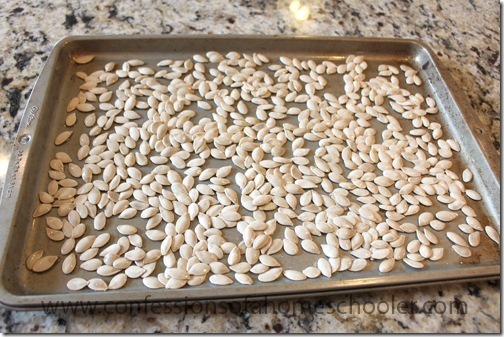 Spanish Seeds: Toss with smoked paprika. 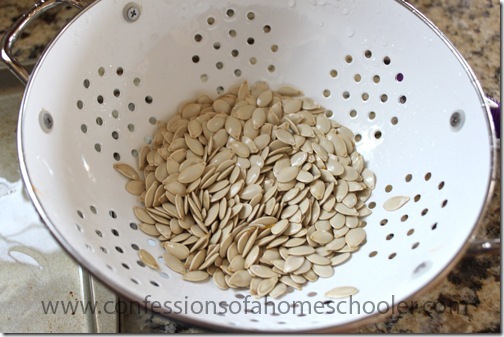 Italian Seeds: Toss with parmesan and dried oregano.